Also available worldwide through Amazon and iTunes. Raga Puriya Dhanashree – Alap, Jod, Taans, and composition in Vilambit Teen Taal, followed by a composition in Ek Taal. Raga Patdeep – Composition in Vilambit and Drut Teen Taal. This DVD by Doordarshan Archives is a compilation of videos of memorable performances of Pandit Ram Narayan. 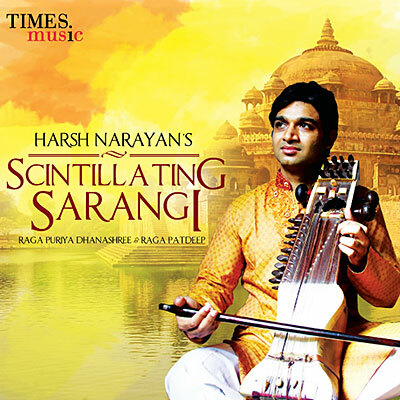 In one of these videos, Harsh Narayan joins his grandfather, Pandit Ram Narayan, in a remarkable sarangi duet performance of Bhopal Todi. This is a recording where three generations of sarangi players perform together: Pandit Ram Narayan, his daughter Aruna Narayan Kalle, and his grandson Harsh Narayan, with Aneesh Pradhan on tabla. Recorded live in February 2002 at the Nehru Centre, Mumbai. Released by Virgin Records in 2003. 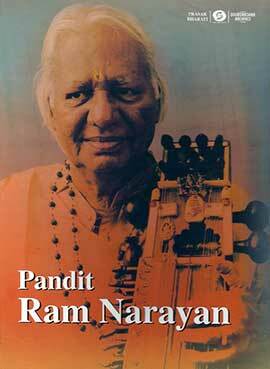 PANDIT RAM NARAYAN is one of the foremost exponents of the sarangi. In fact the credit for “reviving” the instrument from extinction goes to him. He introduced some technical modifications which are accepted. Panditji is synonymous with the sarangi. He also elevated the musical instrument to the status of a concert instrument. His play has attracted great musicians like Yehudi Menuhin, Omkarnath Thakur and others who have encouraged him. 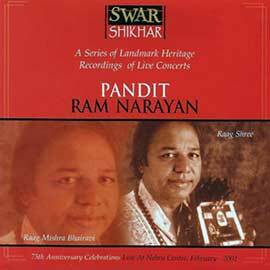 This album, one of the land heritage recordings of a live concert at the Nehru Centre is part of the Swar Shikar series. In the beginning Panditji himself mentions that in this concert on his 75th birthday he is accompanied by his daughter Aruna Narayan Kalle and his grandson Harsh Narayan and it is perhaps for the first time that three sarangis are played together on stage.